musicman3310 on What Just Happened? Have you thought about any sort of legends matter cards in here? I can see Urza's Ruinous Blast , Teshar, Ancestor's Apostle , Blackblade Reforged , Thran Temporal Gateway , Jhoira's Familiar , or maybe even Traxos, Scourge of Kroog . I know these are a bit slow for what you're going for but they are some fun things to think on. Part of the reason you are getting limited feedback is exposure based. Make sure to fill in any hubs. The other reason is the deck looks fully functional and more or less it's own style. 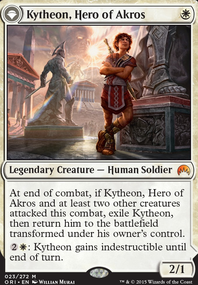 The closest deck I have to this is Azorius Superfriends which I haven't play tested yet. That said Raff Capashen, Ship's Mage and Urza's Ruinous Blast could help to give an edge on your planeswalker heavy deck. 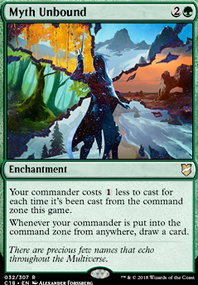 Other than that have you done research on your commander on edhrec? 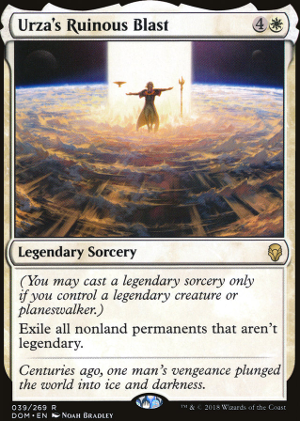 I think the question is self-explanatory, and it's probably self-evident so forgive my redundancy if so, but can I cast an Urza's Ruinous Blast if I control a Heliod, God of the Sun that isn't a creature, due to insufficient devotion or some other reason, with no other Legendary permanents on my battlefield? Hey, nice budget deck, less than $100, well done. Can add all these cards for about $20. I offer more help if you would like. While I don’t think planeswalker commanders would be altogether harmful, I do see a few issues. 1) You said that any legendary permanent should be allowed as a commander. I disagree. Strongly. 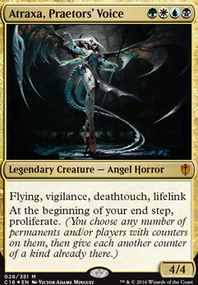 Boseiju, Who Shelters All and Serra's Sanctum would be extraordinarily powerful, not to mention Kamahl's Druidic Vow , Urza's Ruinous Blast , or Karn's Temporal Sundering !? It would be very, very scary. 2) As much as I love the idea of walker commanders, it does sort of cheapen the C14 commanders and the Rowan Kenrith and Will Kenrith deal. Ancient Animus is effectively removal. Blackblade Reforged is wicked scary. Captain Sisay is a must. Champion's Helm is pretty badass- a second Swiftfoot Boots with a buff rather than haste. Day of Destiny is not bad. Heroes' Podium is much better. In Bolas's Clutches may not be bad. Depending on your mana situation, Kamahl's Druidic Vow might be insane. Loyal Retainers could be cool. Mox Amber is not a terrible mana rock. Primevals' Glorious Rebirth is a whole lotta value. Reki, the History of Kamigawa would draw so many cards. Time of Need is a 2-mana tutor. Urza's Ruinous Blast is a one-sided board wipe.